The Cruise starts in la Marina de Los Sueños, Herradura. 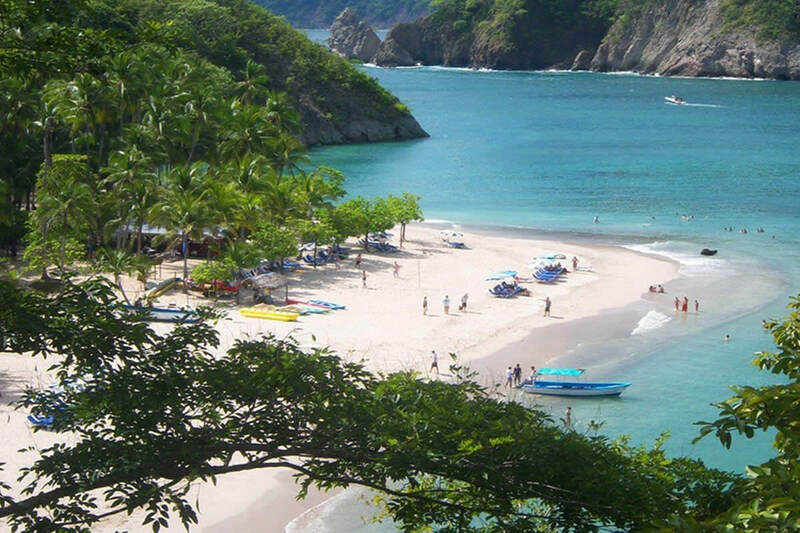 Costa Cat is conveniently docked 10 minutes away from Jaco and 1 hour from Costa Rica's primary International airport in San Jose, the Juan Santa Maria International Airport (SJO). This means less time on the road and more time on the water! 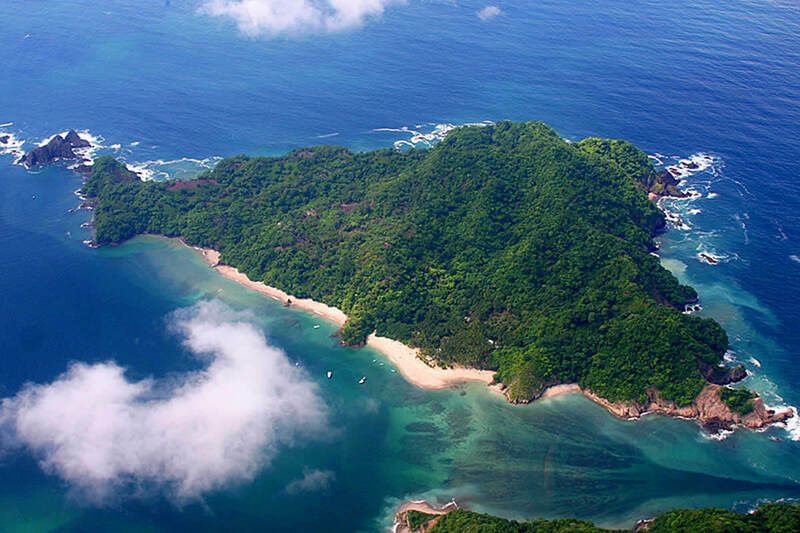 Get ready to explore the beautiful waters of the Pacific ocean and the tropical paradise of Isla Tortuga! The tour will depart at 7.45 AM and will take approximately 45 minutes to get to Island. As you board the Costa Cat the crew will greet you with fresh Costarican coffee, freshly made muffins, and fresh local fruits. Once we arrive at the island there are plenty of fun things to do. 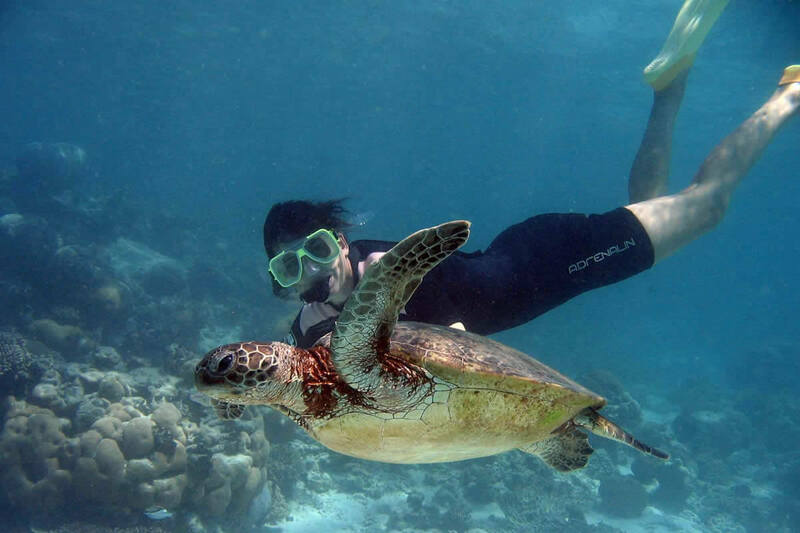 Included with your Tortuga Island Cruise is a snorkel trip, an Eco trail hike and a ride around the bay on the "banana" boat. In addition, the island offers a variety of water sport rentals such as wave runners, paddle boards, kayaks, paddle boats and also the "Aquanaut" underwater experience. Our bilingual CostaCat crew and profesional guides on the Island are dedicated to making your day memorable and safe. They will be happy to answer questions and offer safety tips. We'll help you fall in love with nature on this protected yet uninhabited island. Explore the tropical species of animal life. Take photos of the exotic flowers and trees to "show off" to friends back home. 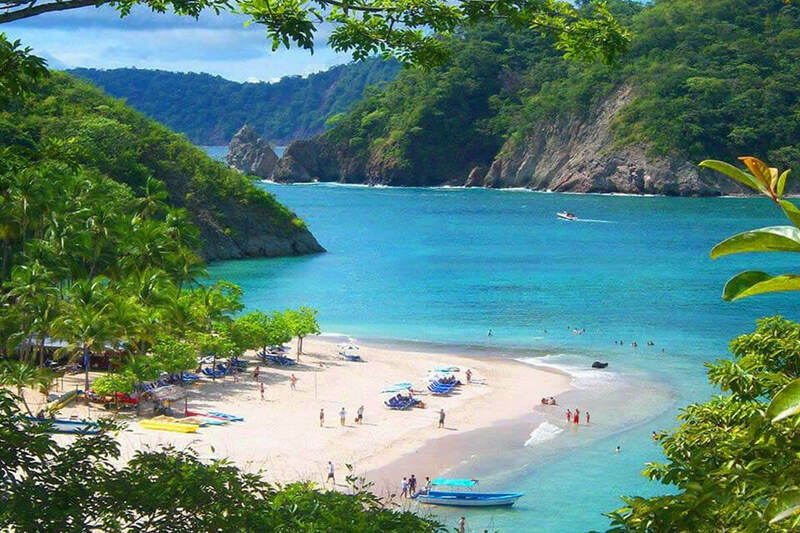 When planning your Tortuga Island Cruise, don't forget your beachwear, towel and most importantly, your camera. You will want to wear comfortable shoes that are appropriate for the boat, such as rubber soled sandals. Be sure to wear suntan lotion or sunblock to avoid sunburn. 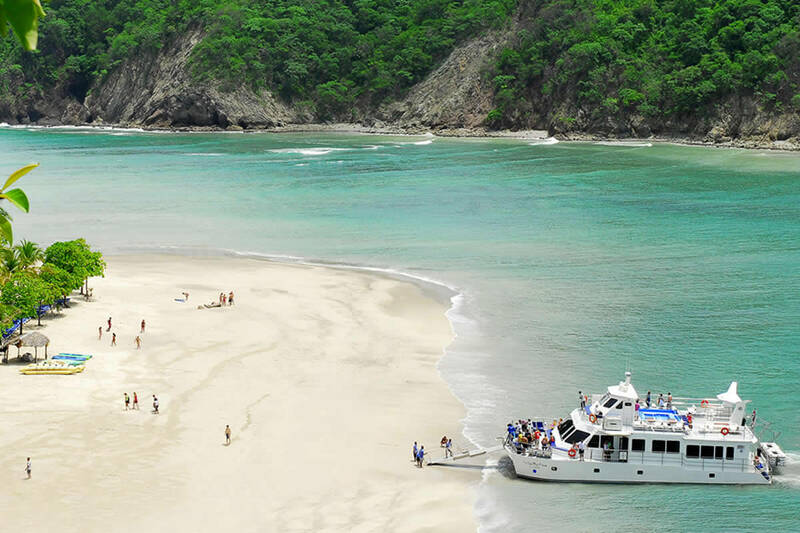 Whether you're single and looking for fun, a couple searching for romance, or a family needing some leisure time, our relaxing Costa Cat Catamaran tour is a blissful cruise to paradise. 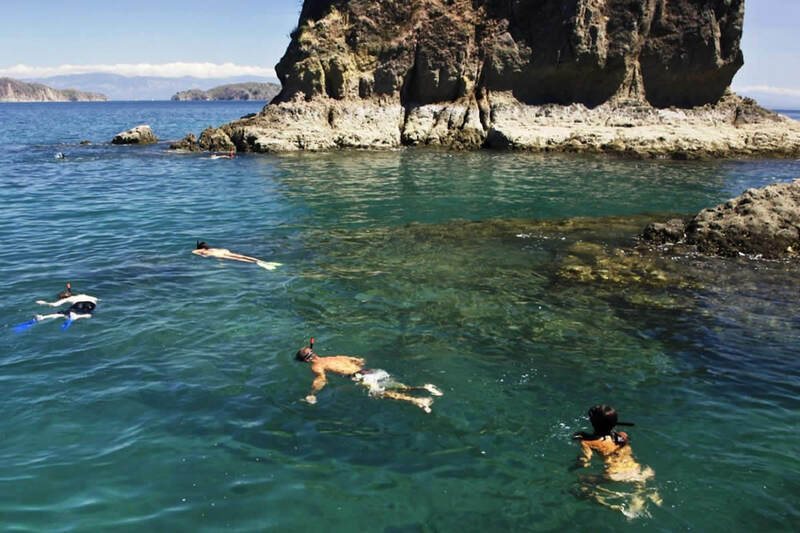 Come enjoy your tour of this beautiful Costa Rican island and fall in love all over again! Ground transportation, bilingual guide, breakfast snack, maritime transportation, live music, lunch, snacks, and a farewell cocktail. Swimsuit, extra clothes, towel, sunscreen, hat, and camera.